Trump Team Sets 2020 Plans In Motion. Here's What's Happening. 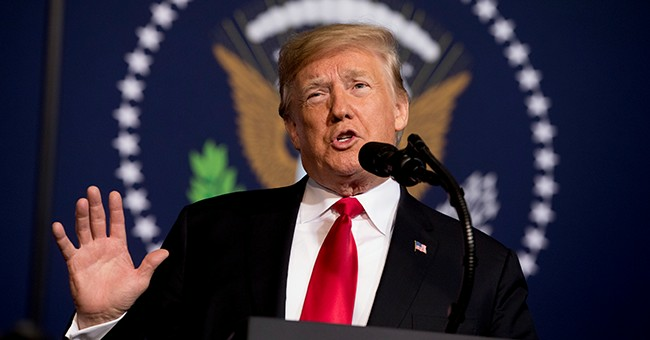 President Donald Trump and his team are gearing up for the 2020 election and part of that preparation includes fending off any potential GOP challengers. To help combat the threat, Trump's team on Friday made the announcement that former White House official Nick Trainer will lead delegation and party efforts, the Associated Press reported. One of Trainers primary tasks will be making sure Trump allies are sent to the Republican National Convention in Charlotte, North Carolina next year. The last thing the president's team wants is for Never Trumpers to make an appearance. He'll also work with three regional directors to organize state-by-state delegation selection. According to POLITICO, former Republican National Committee's Josh Findlay and Ashley Walukevich, as well as former White House official David Huguenel will also join Trainer's team. Brad Parscale was tapped as President Trump's 2020 campaign advisor. The president's campaign theme is "Promises Kept," which is a play on his "Make America Great Again" slogan from the 2016 election cycle.